Interior Décor Changes: It’s All in the Details! 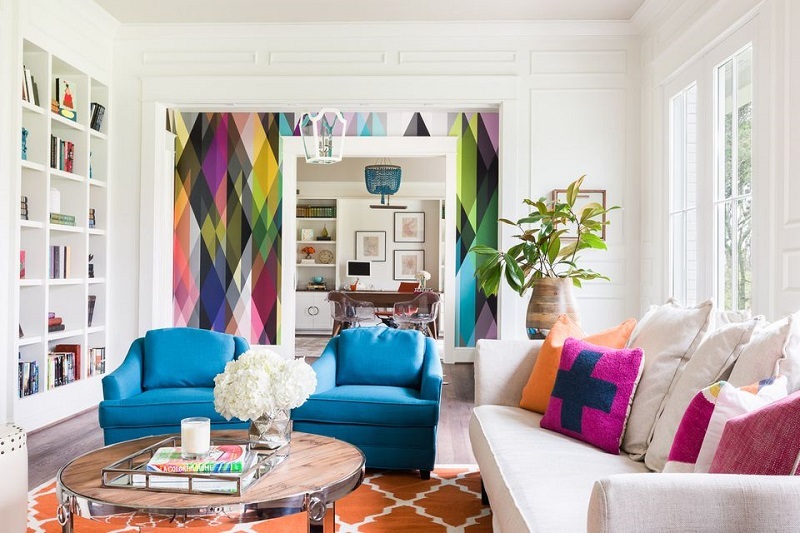 Home » Home & Garden » Interior Décor Changes: It’s All in the Details! Now that we’ve entered a new year, this is the perfect time to give your life and home a fresh start with a bit of interior change. How’s that for a resolution of the year? I know, sadly, not all of us have the means to afford large-scale makeovers, but it doesn’t matter because there are home decor products that can make all the difference in a home, so if you were thinking you couldn’t pull off interior changes, great news is you can and it’s all in the details. Regardless what the 2019 trends dictate, having texture is always essential in making a home feel cosy and welcoming, so don’t be afraid to mix a variety of fabrics, materials, and colours. Matchy matchy showroom looks are a thing of the past, now you can easily combine textures without feeling guilty about it. You’re given the green light to use different styles of rugs and cushions made of soft sustainable fabrics, as well as ornaments, old and new. What I love about ornaments is you have plenty to choose from, like the fun animal home decor products in the example of sculptures, or some of the double-purpose items as I like to call them because they’re both functional and stylish, such as ring and candle holders, bookends, clocks, and vases. The point is to create a home you love to live in, one that speaks your language, filled with everything you cherish. Personalise! Out with Simple, In with Art! Okay, I don’t have anything against simplicity, especially not when it’s for the benefit of our living and is essential in helping us get rid of clutter, but all the simplistic furniture as of late has turned most of our homes rather look-alikes, and even worse, resembling office and hospital halls. If you already have furniture pieces in the simple modern designs, you don’t have to toss them out, but feel free to mix them up with some vintage pieces your grandma gave you. Fact is art deco is timeless and is rightfully getting the attention of many as of late, so if you have art deco pieces laying around in the basement, now is the time to show them off. Just imagine how great Scandinavian coffee table would go with an art deco magazine rack! Small details aside, the walls are important features in a home that we shouldn’t leave out décor-wise. Since wallpapers also join the club of timelessness, now is your chance to include them in your abode (if you haven’t already). It doesn’t have to be anything eye-catching considering even subtle textured wallpaper can do the trick; remember, they make for a wow factor, protect the walls, and you wouldn’t need to think of what kind of paintings and prints to fill up the space with.